And it's all because of unions, wages and profitability. Let there be no mistake: for whatever reason I have somehow favored EMD locomotives over GE locomotives. Perhaps because of the historical issue or perhaps because I watched more EMD locomotives in my area? I'm not sure. However, why was it that General Electric believed that it had to open a new manufacturing facility in Texas, as opposed to its former and historical plant in Erie, Pennsylvania? Because of margins. General Electric Co. (GE) plans to cut 950 jobs at a Pennsylvania locomotive plant, wiping out most of the site’s recent employment growth, as it shifts some production to a lower-cost factory in Texas. Reductions at the factory in Erie, Pennsylvania, which is more than 100 years old, are slated to start in six months pending 60 days of talks with union officials, who oppose the move. The new plant in Fort Worth, Texas, is about 20 percent more efficient, said Lorenzo Simonelli, head of GE’s transportation unit. GE had expanded its workforce at Erie by about 1,000 in the past two years to 5,500 today as it increased output of locomotives and mining equipment. The plant in Fort Worth, which employs a fraction of that number, began some production in June and started building locomotives in January. Transportation and other manufacturing businesses like health care and energy have been a focus of Chief Executive Officer Jeffrey Immelt’s growth strategy. He’s shrinking the finance unit after credit-market disruptions in 2008 jeopardized the company. Industrial sales accounted for more than 65 percent of GE’s $144.8 billion in revenue last year, with $5.6 billion coming from GE Transportation. 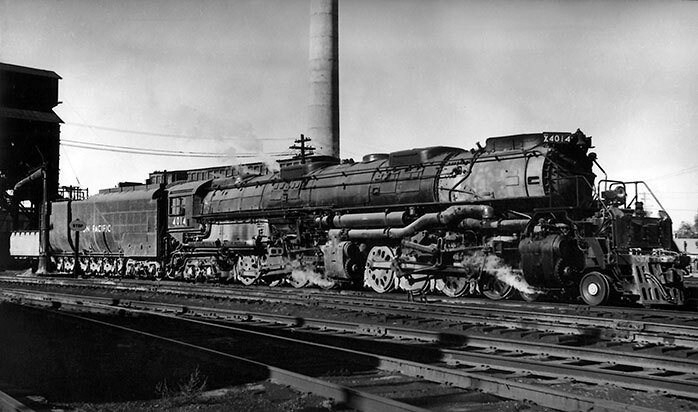 The Fairfield, Connecticut-based company is the world’s largest builder of locomotives. Bigger, at this point, than EMD -- whom Union Pacific quite frankly saved in 2001 with its purchase of 1,000 EMD SD70M locomotives. In order to keep the domestic locomotive market competitive. Electro-Motive Diesel, Inc., also referred to as "EMD", is owned by Caterpillar through its wholly owned subsidiary Progress Rail Services Corporation. The company designs, manufactures and sells diesel-electric locomotives and diesel power engines under the Electro-Motive Diesel brand. EMD offers an extensive range of locomotive products in the rail industry. Electro-Motive Diesel, Inc. traces its roots to the Electro-Motive Engineering Corporation, founded in 1922. In 1930, General Motors Corporation purchased the Winton Engine Co. and Winton's primary customer of gasoline engines, Electro-Motive Corporation (a gasoline-electric car manufacturer), combining the two to form GM's Electro-Motive Division (EMD) on January 1, 1941. In 2005, GM sold EMD to Greenbriar Equity Group LLC and Berkshire Partners LLC, which formed Electro-Motive Diesel, Inc., to facilitate the purchase. On August 2, 2010, Progress Rail Services Corporation completed the purchase of Electro-Motive Diesel, Inc. from Greenbriar, Berkshire, et al. making Electro-Motive Diesel, Inc. a wholly owned subsidiary of Progress Rail Services Corporation. In 1999, Union Pacific placed the largest single order for diesel locomotives in North American railroad history when they ordered 1,000 units of the EMD SD70M. Union Pacific's fleet of SD70Ms has since been expanded by more than 450 additional units. In addition, Union Pacific also owns nearly 500 EMD SD70ACe's, a number of which have been painted in "Fallen Flags" (acquired/merged railroads) commemorative liveries. All of these locomotives are 710G-powered. That order, simply stated, kept EMD alive today. Whilst EMD is on the mend, GE is taking hits in its profit margins. The United Electrical, Radio and Machine Workers of America, which represents about 3,500 GE workers in Erie, said the shift is unacceptable. “We intend to resist this with every tool at our disposal and to fight tooth and nail to retain all of the work that has always been done there,” Chris Townsend, the union’s political director, said in a telephone interview. Let me note: Texas is a "right to work" state. Texas is sucking up work from most Leftist states, to include my Fornicalia and, here, Pennsylvania as well. GE and its unions in Erie failed to reach an agreement in June, which meant that GE will cut 950 jobs in October. It will also shift production of its profitable GE Evolution Series freight locomotives from Erie to Texas. GE indicated the Ft Worth plant has a 20% productivity advantage over Erie -- and that, now, GE faces a new and stronger competition from EMD than ever before. I can't help it: a nice video of a GE Dash-8 unit starting up. And then, there it is. Once again Obama insists that the economy is back on track when -- in true statistics -- it is estimated that roughly 18% to 20% of the nation is unemployed or uninterested in looking for jobs. A far cry from his figures. In the meantime, employment goes where it goes. And: Detroit is the result. UP to resurrect an actual Big Boy steam locomotive? Omaha, Neb., July 23, 2013 – Union Pacific Railroad today announced it reached an agreement with the Southern California Chapter - Railway & Locomotive Historical Society in Pomona, Calif., to transfer ownership of one of the world's largest steam locomotives, Big Boy No. 4014, back to Union Pacific. Union Pacific plans to relocate No. 4014 to Cheyenne, Wyo., where Union Pacific's Heritage Fleet Operations team will work to restore it to operating condition. Details regarding those efforts will be made public at a later date. "Our steam locomotive program is a source of great pride to Union Pacific employees past and present," said Ed Dickens, senior manager - Union Pacific Heritage Operations. "We are very excited about the opportunity to bring history to life by restoring No. 4014." I commend Union Pacific for their strident support of our railroad heritage via various locomotives and concomitant passenger cars. I am personally familiar with this static locomotive in Pomona, California, because it rests adjacent an area I visit yearly, where LASO tests cop cars at its EVOC facility, next to the Los Angeles County Fair and the NHRA Museum. 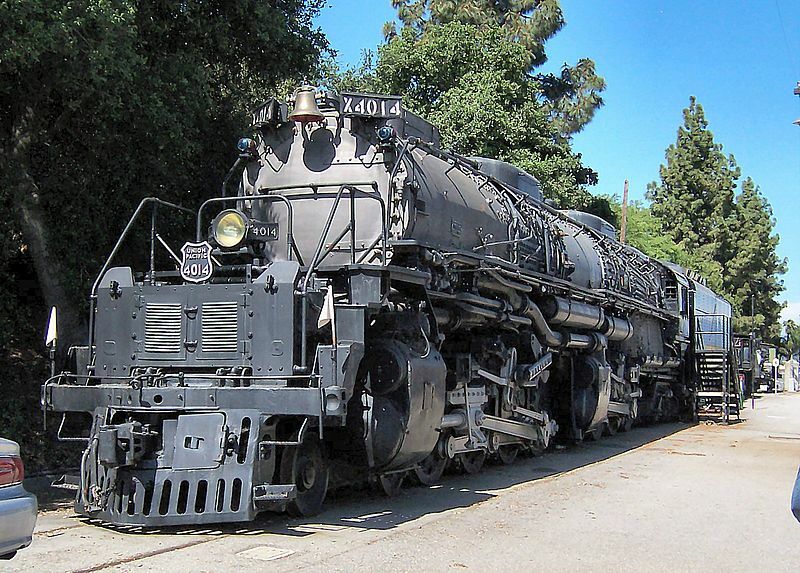 I submit that it is only Union Pacific that could have the strength, the commitment, the wherewithal and the dollars to bring an actual Alco Big Boy back to life. Above is the Pomona locomotive on static display, kept in reasonable shape by the heat and the lack of humidity in the region. Will Union Pacific make good on its aim?